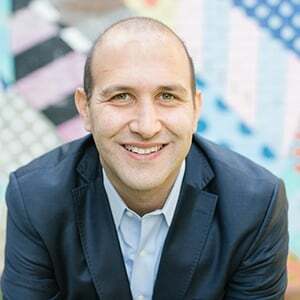 December 5, 2018 Fadi is the Marketing Manager at The Destination Sales & Marketing Group. He avidly consumes podcasts during his Metro commute. Car free for almost 10 years, he enjoys running outside and biking around Pentagon City and Crystal City during his free time. ATP Takeaway: E-Scooter riders should take precautions to make sure they are visible to other road users. Here are some tips to ensure a safe ride. Arlington County residents have an increasing number of transportation options to pick from for their commutes. Whether you’re using a dockless bike, an e-scooter, or Capital Bikeshare, it’s important to remain visible when you’re sharing the roads with other vehicles. E-Scooters are still a new mode of transit and are not as common as bikes or motorcycles. Here are some tips to help you enjoy your ride and arrive safely to your destination. 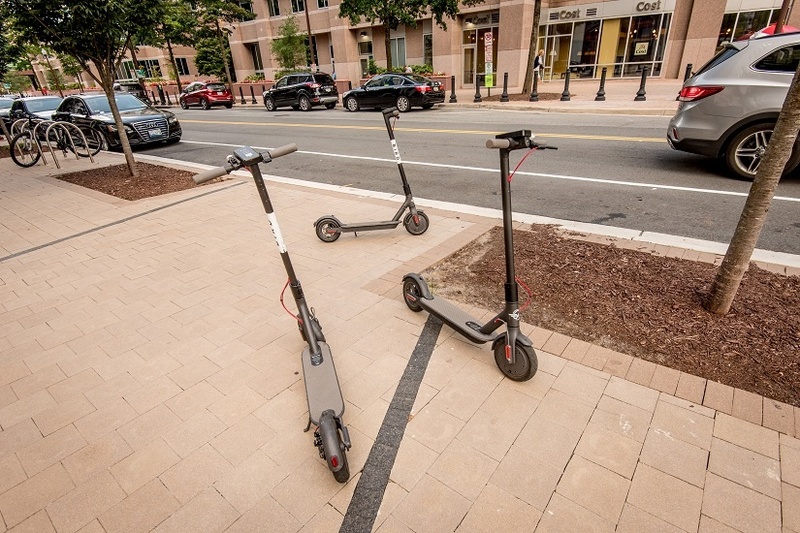 Arlington County requires e-scooters to ride on roadways. This makes it critical for riders to obey the rules of the road to ensure their safety, as well as others, while sharing the road. Stop at red lights and stop signs, ride in the same direction as traffic—even in bike lanes— use hand signals, and obey posted signs. Safety lights on the back of e-scooters sit low to the ground, unlike bike safety lights. This can make it difficult for drivers to spot the light on the road. There’s an easy fix for that. You can wear reflective gear, and use safety lights to make yourself more visible especially during dark evening commutes. Bright clothing including vests, bike pants, and ankle straps also help increase your visibility. If you choose to wear a helmet (we strongly recommend it), you can place flashing lights on the back to stand out as well. Whether you’re biking, walking, driving, or riding an e-scooter, everyone is responsible for sharing the street safely. Be considerate of how others are moving around. Remember to abide by the rules of the road—be predictable, be alert, and use hand signals to show your intentions. Let’s make sure we keep Arlington County a great and safe place to live, work, and commute. You can lead by example and take the Bird and Lime pledges to ride safely and responsibly. For more information on all things dockless, make sure to visit Arlington County’s website and download the FAQs for both riders and businesses.